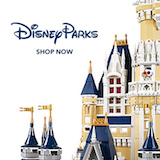 Direct Sales Report for February 2019 - DVCNews.com - The essential Disney Vacation Club resource! In February 2019, several small deeds of 50 points or less were sold for all the resorts. However, whether by design or circumstance, all of these small point deeds were sold to DVC Members who were adding on to their existing accounts. New Members bought larger point deeds with 75 or more points. Copper Creek Villas & Cabins at Disney’s Wilderness Lodge — In February, 148,696 points were sold for Copper Creek, marking the 14th consecutive month that the resort’s sales have topped 100,000 points. Based on deeds recorded with the Orange County Comptroller as of the end of February, Disney has sold 75.6% of Copper Creek’s 3,321,966 points. On March 11, 2019, Disney announced that 85% of Copper Creek was sold and that it would be sold out by June 1, 2019. Disney’s sales numbers include deeds that have been purchased but have not yet gone through closing and have not yet been recorded. Officially, Disney offers the Fixed Week option at Copper Creek. However, Disney has only sold 22 such deeds at Copper Creek and none since July 2018. It is unknown whether Disney is simply not marketing this option or if this option is merely unpopular with the general public. Effective March 13, 2019, Disney declared 13 more vacation homes for the DVC inventory at Copper Creek. The resort is now fully declared for the DVC inventory, meaning that the entire Copper Creek inventory of 184 vacation homes can be booked by Members using DVC points.